Find a Fuel Supplier is a free service that independently lists UK suppliers of various types of fuel and their latest and most competitive prices direct to consumers. FindAFuelSuppler.co.uk was set up to make the comparison of fuel prices quick and transparent. The site is fiercely independent and open for all UK suppliers to advertise and update their prices of fuel on a daily basis. 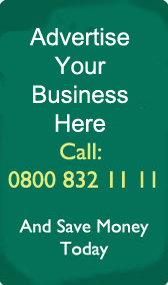 When you need to place an order, make Find a Fuel Supplier your first stop to finding your cheapest suppliers of fuel. We are well placed to put your business in front of thousands of people that are looking to buy various types and quantities of fuel. If you&apos;re a fuel supplier and would like to advertise your business and list your prices here, learn how you can advertise with Find a Fuel Supplier today. If you&apos;re one of the estimated 1.5 million British users of heating oil, kerosene, paraffin and other domestic fuels, the chances are you spend time and a fair bit of money stocking up a number of times each year. The sourcing of your cheapest fuel can be a headache, with the research and the phoning around leading many to stick with a single supplier. The only problem with this is that you may be paying over the odds for your preferred fuel. This is the reason why Find a Fuel Supplier was set up. We want to provide a one-stop-shop for consumers to quickly and easily find their cheapest fuel supplier. Whether you&apos;re searching for the best heating oil prices or kerosene prices, we will find your cheapest and most convenient supplier. We don&apos;t take any commission from suppliers and have no intention to sell leads or access to consumers. Instead, we charge suppliers to advertise their prices on the site. This enables us to remain impartial and completely independent. This is an accusation that has been levied at a number of fuel price comparison sites in recent times and something that we are extremely passionate about. Whereas we want to provide fuel suppliers with the opportunity to market and reach out to new customers, we also want to ensure that there&apos;s complete transparency with the process. We will always place the best price of fuel and the most competitive suppliers first. If you&apos;re looking for the best prices of fuel in the UK, then you&apos;re in the right place. Using the site is simple. In the green box at the top, select your preferred fuel type from the drop down, the amount you want to buy, the postcode you&apos;d like the fuel delivered to and then click find. It&apos;s as simple as that. You will then be directed to a results page that lists the cheapest suppliers of that fuel. Simply ring or email the supplier and organise delivery. We will never ask for any payment details from you as we don&apos;t get involved in the transaction at any stage.